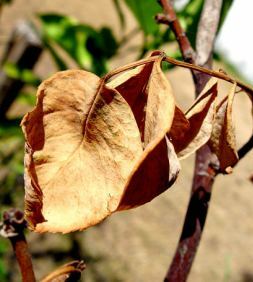 Hot, Dry Weather in the Garden | Faddegon's Nursery, Inc.
We are going through a very hot, dry stretch of weather and our lawns and gardens are not happy. With water restrictions already starting in some areas, what can homeowners do to help thirsty plants survive a Sahara-like challenge? Flowering perennials and shrubs that are really stressed can be cut back. I know this may be difficult to do, removing flowers that you’ve looked forward to enjoying, but flowers demand a lot of energy. By sacrificing the blooms, the plant is better able to hunker down and survive the extreme weather until relief arrives from soaking rains. As far as lawns are concerned, depending on the grass (i.e., Fescue, Rye, Blue Grass), many can handle several weeks of drought by going dormant (becoming brown or wheat-colored). When water is finally restored, the turf should green up again. If it doesn’t, well…..green spray paint is always an option. One way to help lawns (as well as perennials and shrubs) better survive extended dry spells, is to routinely water for longer periods BUT do so less often. By doing so you are training roots to go deeper into cooler, more moisture-retentive soil. Frequent watering for short periods does more damage than good; roots are lured to stay near the soil’s surface where temperature swings are greater and moisture is quickly lost through evaporation.